It took me 20 years to get around to reading this book which has been printed in 75 editions by now! It is a great history of things not covered in our school books… unionizing the coal industry, women’ suffrage, anti-war protest and much more. This updated version covered through the 2000 election, a much disputed one between Bush and Gore! Although the writer is biased toward socialism, it definitely gives us a lot to think about. Now I know the difference between the AFL ( a union for skilled workers) and the CIO, or Congress for Industrial Organization, a union of unskilled workers organized by industry. Sit-downs strikes in the 1930s achieved a minimum wage, a forty-hour week and child labor laws. The red scare of the 1950s when school children were given air raid drills in fear of an atomic bomb attack from Russia is something I recall form my childhood. The McCarthy hearings, the execution of Julius and Ethel Rosenberg in 1950 and the Truman doctrine were all part of a widespread fear of Communism taking over hte world. I’ll keep this on my bookshelf and will re-read parts of it I’m sure! Not as well known as Martin Luther King, Medgar Evers was a civil rights activist and head of the NAACP in Jackson , Mississippi in hte early 1960s. He was just 37 years old when he was gunned down in front of his own home in 1963. His wife and children watched him die in his own front yard. A WWII veteran who fought in France, Evers returned .to his hometown after the war. He was shocked that many soldiers risked their lives for America, but weren’t allowed to register to vote. If a brave soul attempted to go to the courthouse and register, they were told to recite the Constitution as a literacy test. Vollers writing pulls you into the narrative and keeps you reading as she tells the story of Medgar Ever’s life and also the struggle for justice. It took over 30 years to convict the white supremist killer. I highly recommend this very readable and engrossing book that brings an era to life. As Evers’ son said at his father’s grave in Arlington, many people remember Malcolm and Martin, but “forget the other M.” Medgar Evers should not be forgotten. He stood up for his beliefs in an era when it wasn’t yet done. In the 1930s, the Spanish Civil War was a cause which inspired many idealistic young Americans to go and fight against Franco’s Nationalist regime. Martha was quite young but had published several pieces in well-known magazines. She was sent to Paris to work in the United Press bureau. After returning to America,she met Hemingway in 1936 and they agreed to go to Spain to cover the war for Collier’s Weekly. What she saw there had a great impact on the young Bryn Mawr graduate. Gellhorn later married Hemingway and they lived together off and on for four years but more important , she always seemed to be in the right place at just the right moment in history. She covered the rise of Hitler in Czechoslovakia in 1930 and was the only female journalist present at the Omaha Beach landing on D-Day. Managing ot be among the first reporters at the liberation of the Dachau death camp in 1945, she saw things that affected her for the rest of her life. Gellhorn covered the Vietnam war for the Atlantic monthly in the 1960’s and 1970’s. 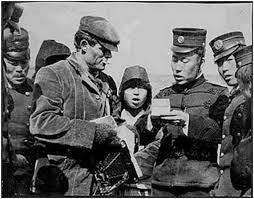 She always focused on how ordinary people were affected by the war rather than on military advances or troop numbers. She visited orphanages and hospitals and talked to people on the street. This gave her articles a very personal and unique touch. Active into her 80’s, she covered war in Central America and kept writing and traveling. I was amazed that she traveled to Brazil to write about the murder of street children when she was 85 years old. 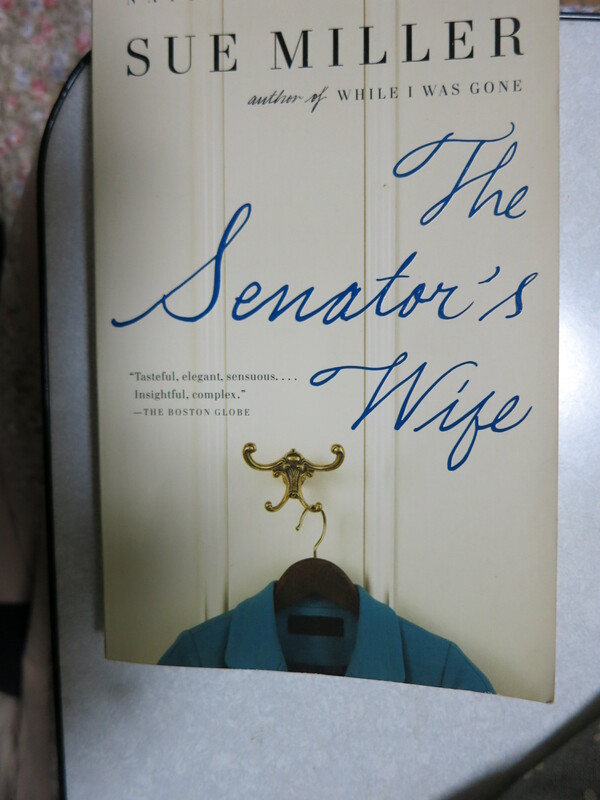 I believe she was a strong and independent woman and I came away from this book with a deep admiration for her. I have often listened to Pete Seeger sing about the bloody strike at the Homestead, Pennsylvania Steel works in 1892 when the owners called in Pinkertons to put down the strikers, but I never knew all the details. 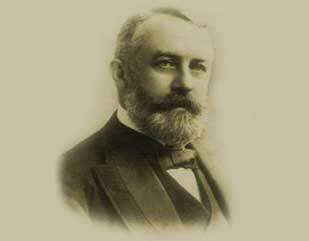 Andrew Carnegie left everything up to director Henry Clay Frick who ordered Pinkertons to come up the Monongahela river in barges and forcibly disburse the strikers. 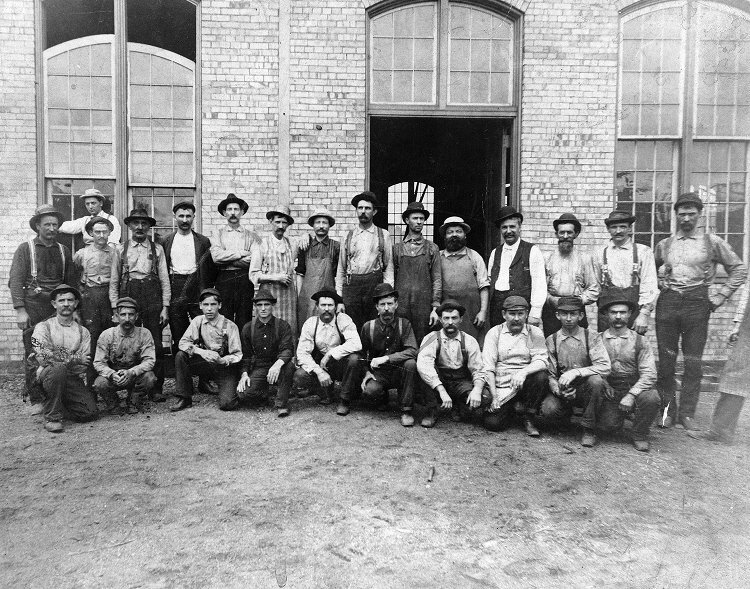 Nine workers and 7 Pinkertons were killed when both sides opened fire. 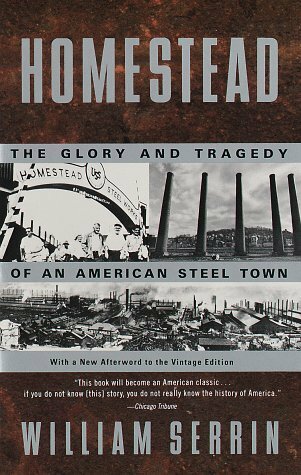 This history tells the story from the building of the town of Homestead to the dissolution of the Homestead steel works in 1986. Production was at a peak during WWII when U.S. Steel made armored plate for battleships and tanks, at which time the company employed over 15,000 people. Steel girders made there were used in the Empire State Building, the Gateway Arch in St. Louis and the Sears Tower in Chicago. William Serrin, a journalist for New York TImes, visited Homestead during many turning points and met many of the people who still remember the steel works in its heyday. He has written a very engrossing history of the plant, the men who started it and the workers who are really the main players! errin gives the story a personal touch by delving into the home life of several workers and tells us how they coped when the works were shut down without notice. A great read! I thoroughly enjoyed this biography of a rough and tumble young man who made his own way in the world, travelling widely and using all his adventures to create his novels and short stories! From being an oyster pirate in Oakland to signing on as cabin boy on a sealing ship which took him to Yokohama at the age of seventeen, he was always up for any new experience. Off to try his hand at prospecting in the Yukon, he came back empty handed except for a wealth of stories to tell. 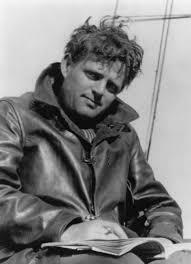 I was interested to learn about his life and especially his voyage to Hawaii, Samoa and the Solomon islands on a small sloop with a motley crew and his “game-for-anything” second wife Charmian Kittredge. They had some narrow escapes and suffered from malaria, open sores and other tropical ailments. 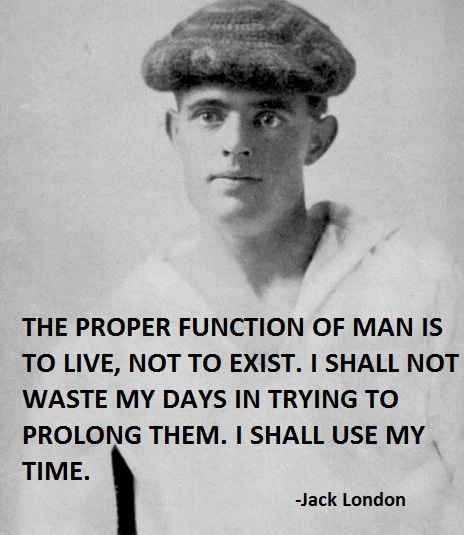 Jack London was also an occasional journalist who reported on the Russo-Japanese War in 1905, the Mexican Revolution in 1910 and the heavyweight championship fight between Jack Johnson and James J. Jeffries. 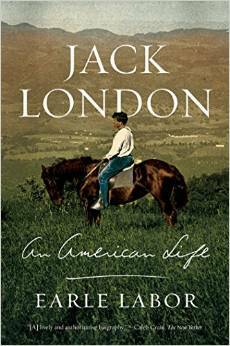 I visited Jack London’s ranch or the small cabin they had lived in north of San Francisco. He was very proud of the ranch where he applied natural farming methods, raising vegetables, pigs and cows. 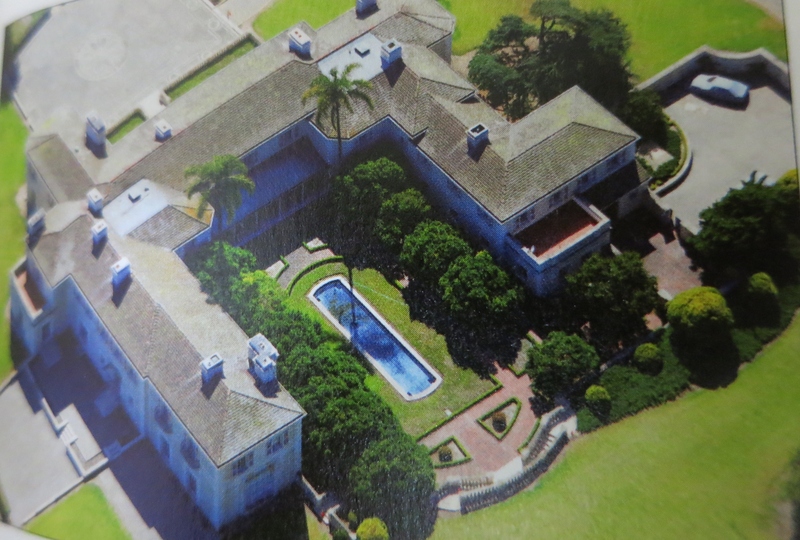 He and Charmian were building a beautiful home overlooking the sea. It mysteriously burned to the ground just before completion. Now that I know more of London’s life, I look forward to reading The Sea Wolf, a lovely edition my brother gave me some years back. I would recommend this fast-moving life story of a man who lived life boldly and fearlessly and worked very hard writing about it! We began setting reading goals each year when my daughter used to come home for Christmas. We’d gather in the upstairs kotatsu for coffee every evening about 9:00 and discuss the best books we’d read in the year. This began when she was in high school and continued through college. We decided to each set a goal for how many books we intended to read in the coming year. For the last ten fifteen years or so, I wrote down the title, author and genre of each book, with maybe a few comments on a book i really liked. It definitely motivated me to read more! Now Goodreads keeps track of what I am currently reading and how close I am to my goal. My challenge for 2014 was to read 75 books! A little ambitious, huh? I am on #68 but, with only three weeks left till New Years, I don’t think I’m gonna reach my goal. I have read a lot of good books this year though so I guess it is a win-win challenge anyway! I didn’t have time to blog about what I read the last month so I’ll just catch up with a few quick notes! 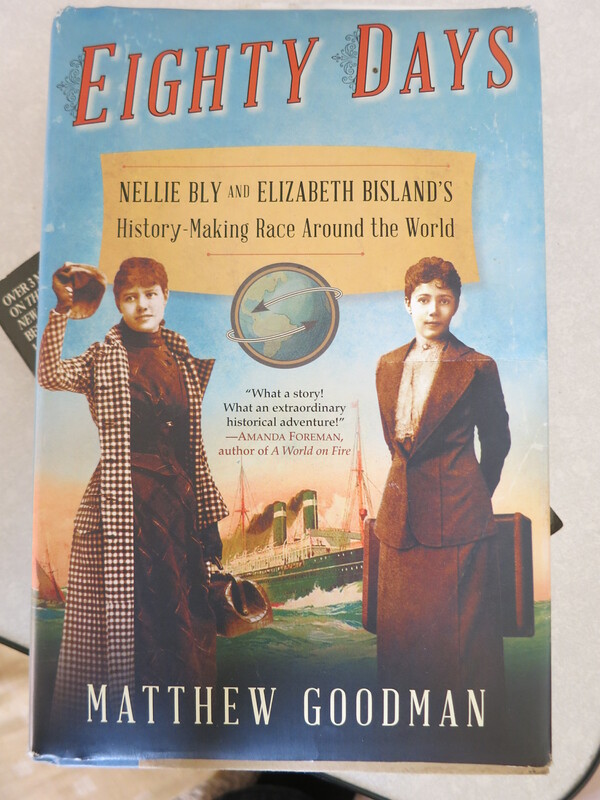 Almost as exciting as Jules Verne himself, the spunky reporter for The World, Nellie Bly set off from New York on a ship to England. Suffering from seasickness the first few days,Nellie soon recovered and made the amazing trip in just 75 days! A monthly magazine that had heard of the challenge, immediately sent free lance writer, Elizabeth Bisland off to circle the globe in the opposite direction, hoping she could beat Nellie and sell more copies at the same time! This is a fast-moving and readable story. 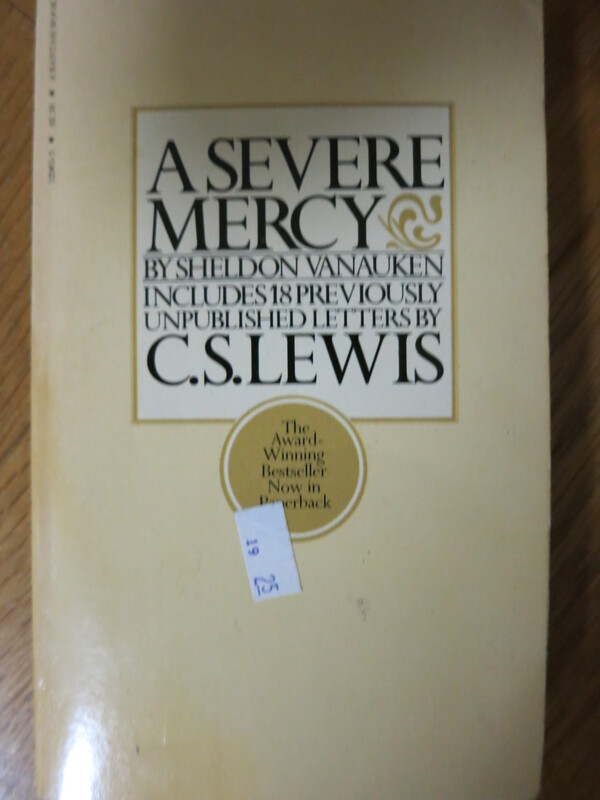 I read this book about 30 years ago and bought it again. 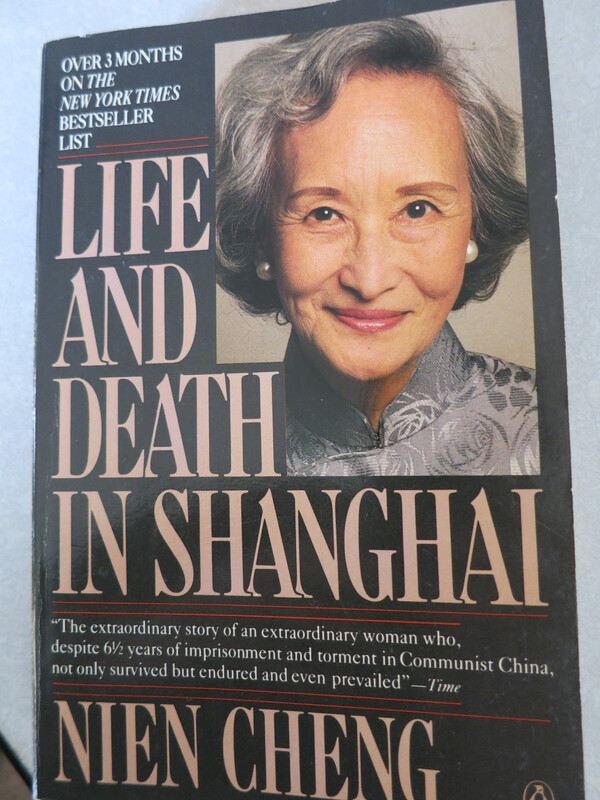 I know that the author was a Christian and worked for an American oil company in Shanghai before being imprisoned during the cCultural Revolution of 1967. The rampant Red Guards invaded her home, smashing priceless Ming ceramics, burning antique scrolls and destroying everything in her home. She was taken to a detention center and continually interrogated, urged to confess to crimes she didn’t commit. Most people broke down and denounced others to gain leniency. But Nien Cheng didn’t give in, even when tortured, even when she became very ill. It is an amazing story of human endurance in the face of persecution. I enjoyed reading it this time as much as I did the first time! 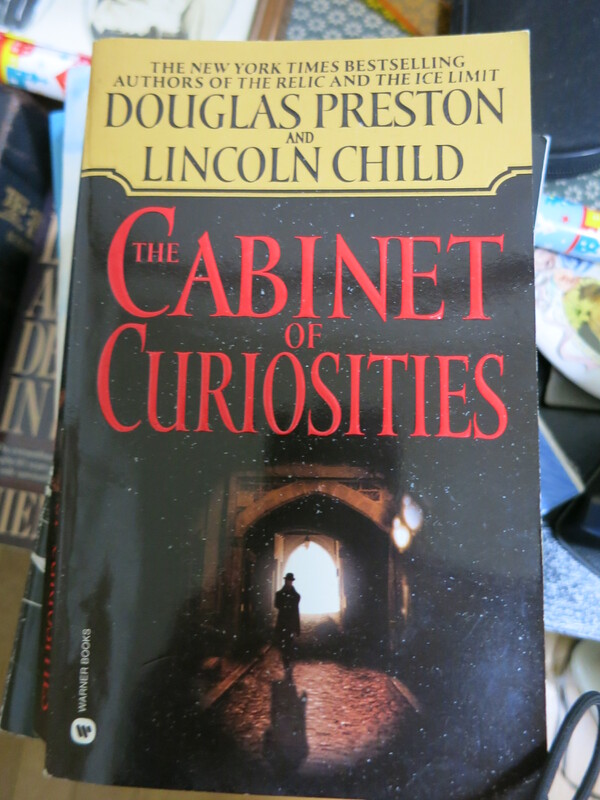 Took a break to re-read a mystery from my favorite detective writers, Lincoln Child and Douglas Preston! This on is particularly creepy and a great read!! The story of a childhood she later pieced together, an inspiring tale of a young autistic woman who managed to overcome her limitations and create a life for herself in spite of an abusive mother and absent father! Another fiction break! 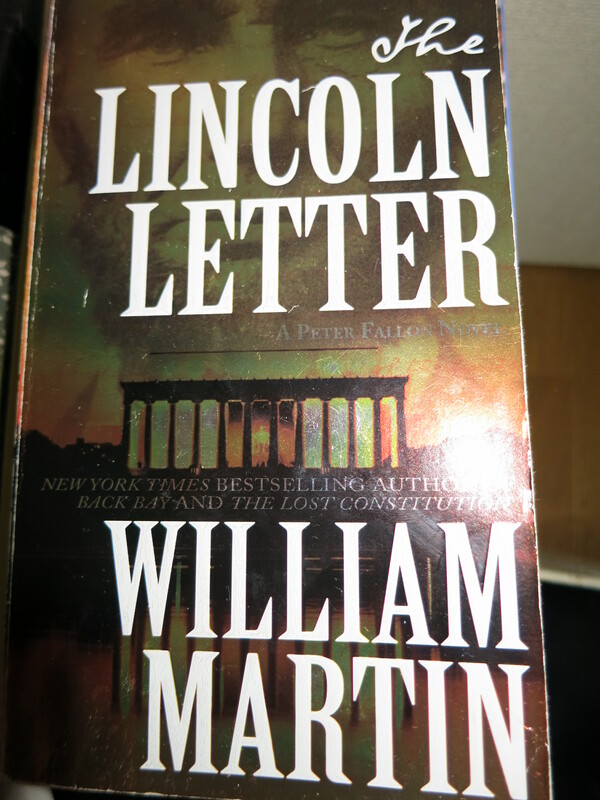 I got this for a dollar at the Largo Library bookstore some years ago and finally took it to bed on a cold night! It was engrossing and kept me up till the wee hours! Good read! Now this was a book I really enjoyed. I guess it is light reading. 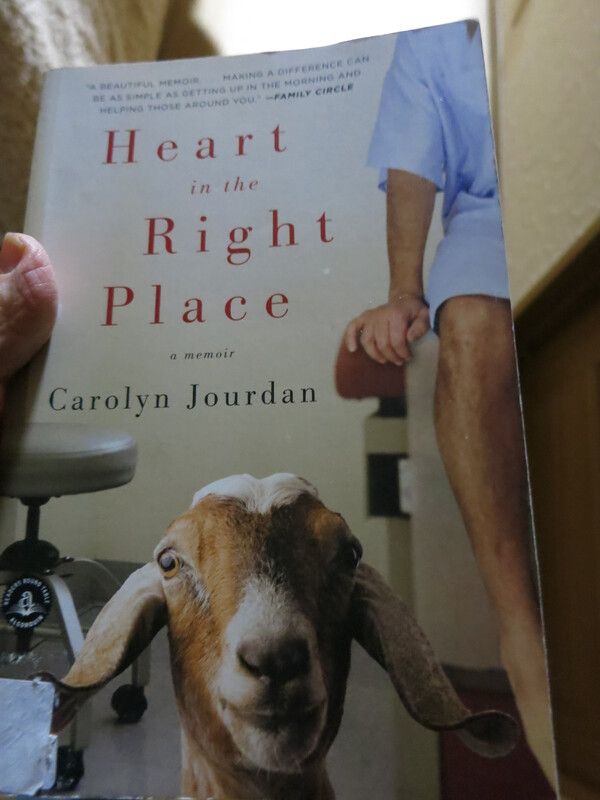 All true and a very heartwarming story of what happens when a high-powered lawyer form New York returns to her Tennessee rural home to help her father in his small clinic. The colorful characters are quite entertaining and we can’t wait to see what Carolyn will decide in the end! Definitely recommended! Tracking down a diary that had belonged to Lincoln is the dream of any historian. Taking place in 1864 and the present, this fast-moving story is simply entertainment. Picked this one up at the Media PA library sale this October! Aunt Annie recommended this,or was reading it when I visited Philly. Have you seen the movie yet? It is a story that keeps us guessing till the end…and surprises us after all! And just so you won’t think I’ve gone soft with my reading.. This book contain many heretofore unpublished letters by C. S. Lewis, ANd no wonder as the writer got to know the famous man when he studied at Cambridge. This is a deeply touching story that wery well parallels Lewis’ own tragic love story we can read about in Surprised by Joy. 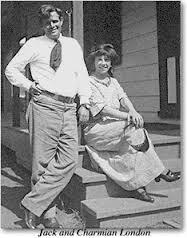 Vanauken’s unique relationship with his wife, the tale of how, both agnostics, they find Christ. An important book about love and loss and what it means to follow Him. Well, I may not make my 75 book goal but I did read some great books! Nien Cheng, Vanauken, and Carolyn Jourdan in particular!! Captured by rebels in Somalia and held for ransom,freelance journalist Amanda Lindhout survived 460 days in captivity, part of the time in utter darkness. I don’t want to give away details that would detract from the impact this book has on the reader. I really couldn’t set it aside. 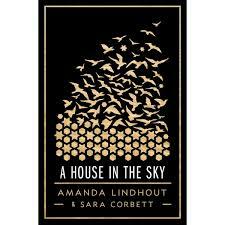 Amanda kept sane by escaping in her mind to a “house in the sky” where she relived all her beautiful memories and “met” with her family. It is amazing how positive she could be and that she survived such an ordeal. With the shocking and sad news of journalist Steve Sotloff’s execution at the hands of his captors so fresh in our minds, this story seems very relevant today. We can gain insight into how it is for the family of the captive desperately negotiating for the release of their child with little cooperation form their government. Lindhout has since formed an organization, the Global Enrichment Foundation, to help educate young people in Africa. I think you should read this book! It was fascinating to read of all the false starts, disease, and natural disasters that turned this project into a debacle for the French, who after much effort and a great deal of corruption, sold their rights to the Americans. 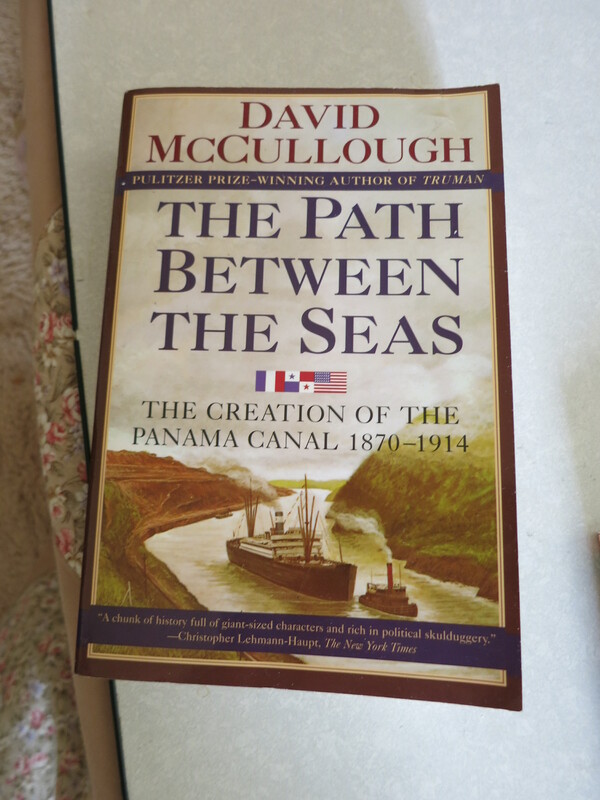 Did you know that it was almost the Nicaraguan Canal instead of the Panama Canal. As always, David McCullough pulls us into the narrative and writes about all the colorful characters involved in this historical event! The most colorful of all, Theodore Roosevelt, could be said to be the man who finally made it happen, but many others worked bravely and battled the intense heat and prevalent disease to build this great man-made waterway that did connect two oceans! 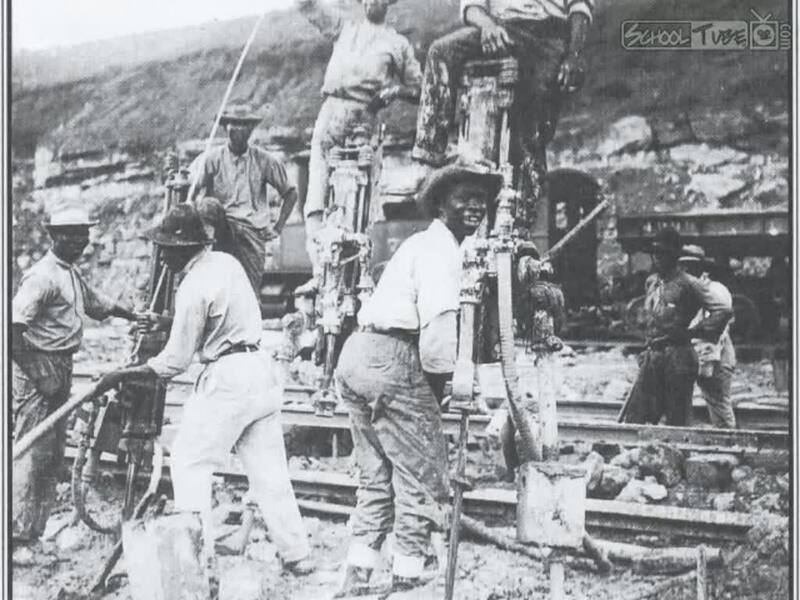 The French obtained the rights to dig the canal from the Colombian government and began excavation in 1881 under the direction of Ferdinand de Lesseps, the man who built the Suez Canal. However, they were plagued with seasonal floods and mudslides, which caused major setbacks. The biggest problem was tropical disease such as malaria and yellow fever, it the cause of which was not known at the time. Thousands of workers and engineers died before the connection between mosquitoes and these maladies was proven. In the end, scandal and corruption led to the collapse of the French canal company, La Société internationale du Canal interocéanique. 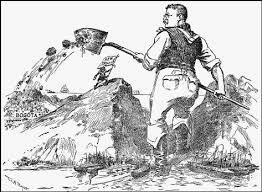 A second company also failed and the land and equipment sold to the U.S. government for 40 million dollars in 1904. 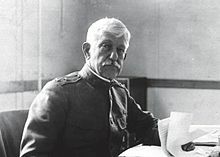 One man who stood out as an unsung hero was Army doctor WIlliam C. Gorgas who had worked in Havana to eradicate yellow fever after the Spanish AMerican War. In Panama, Gorgas got little cooperation and received much scorn before he was vindicated in his idea that yellow fever was carried by a certain strain of mosquito. 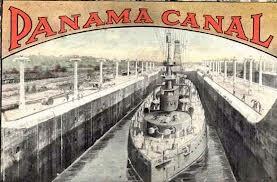 The canal was opened in 1914, but not before a revolt was provoked and Panama was declared independent from Colombia, allowing American control of the canal. If you are interested ind the technical side of the project, look to Wikipedia to read about the system of dams and locks that allowed the water level to be raised and lowered and for ships to pass through. The digging of the Culebra cut through the continental divide (110 meters high, solid rock!) was an amazing task in itself! A comprehensive history and entertaining tale! 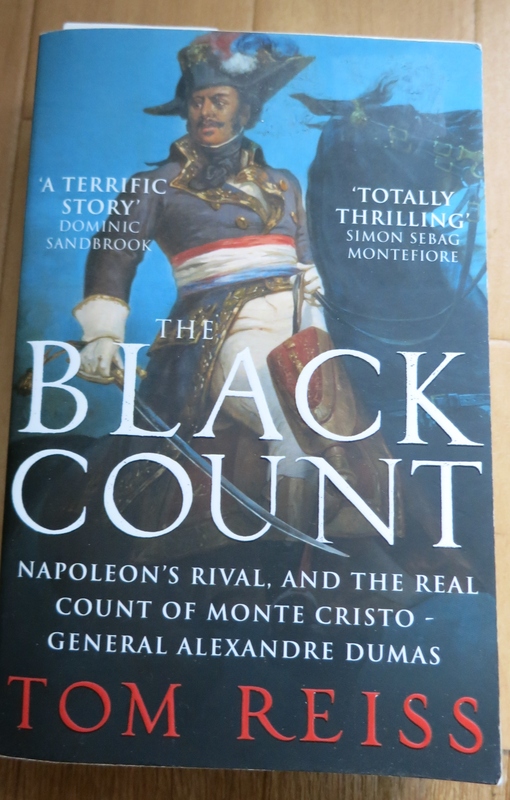 A well-written account of the life of Alexandre Dumas, the father of the author by the same name. Born on the sugar cane plantation of Saint-Domingue, then a French colony, Alexander was the son of a French Marquis and a black slave . His siblings were sold into slavery and Alex himself was sold to pay his father’s passage back to France, but later redeemed. He stood 6’3″ and made an impressive figure when he joined the French army, eventually becoming a highly- decorated general. After he suffered much in the Sudan, he attempted to return to his wife in France, but was captured and spent two years in a dungeon-like prison in Italy. Finally released and in ill health, Dumas was reunited with his family. His wife gave birth to a son, the novelist Alexander Dumas who eventually used many of his father’s experiences in writing The Coount of Monte Cristo. Documents and letters that remain show that he was a fair and even kind superior officer well-liked by those who served under him. Unfortunately, he made several enemies who stripped him of his military pension. Dumas died in poverty in his village of Villers-Cotterets in 1806. During the French revolution, equality and opportunity were extended to men of color like Dumas. Unfortunately, under Napoleon, new exclusive laws were put into effect. Perhaps this is one reason, Dumas died ignominiously and few people know of this great soldier and military leader. Why would a lonely rich woman who owns several elegant estates opt to live the last 20 years of her life in a bleak hospital room although she wasn’t even ill? The authors set out to make this mystery clear and end up telling the epic story of the Clark family, how a great fortune was made in the copper mines of Montana and later given away. 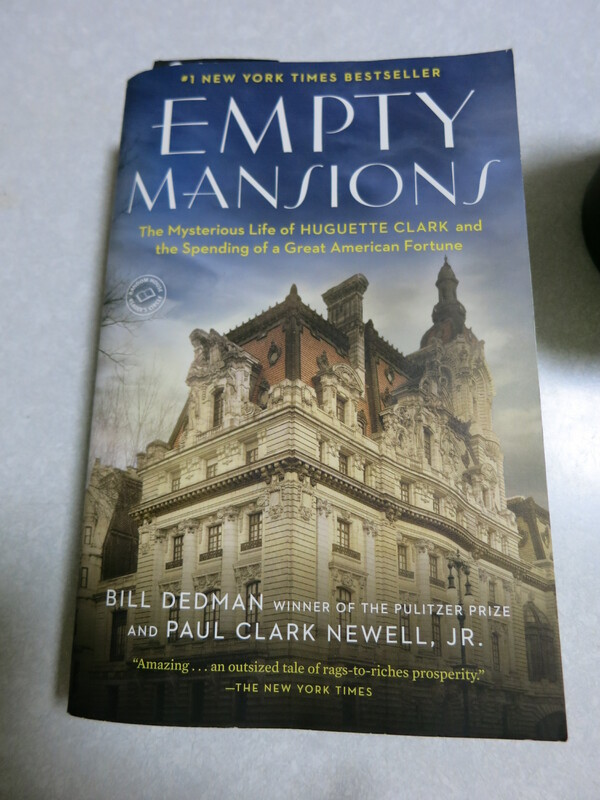 I found the life story of Huguette Clark fascinating reading! 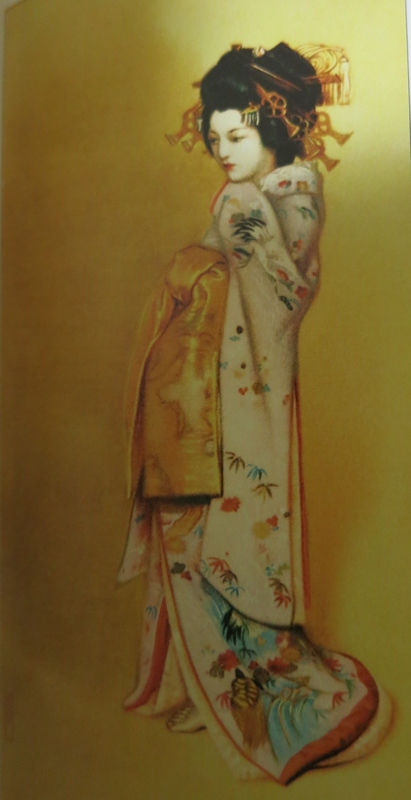 Though a recluse, Huguette was an expert on Japanese culture history, architecture, theater and costumes. She had many detailed replicas built of famous buildings in Japan, She collected over 1500 antique and valuable dolls: French, American and Japanese. She collected art, an interest inherited by her father who endowed the Corcoran Museum in Washington, D.C., originally most of which came from his private collection. Huguette also painted many works herself. 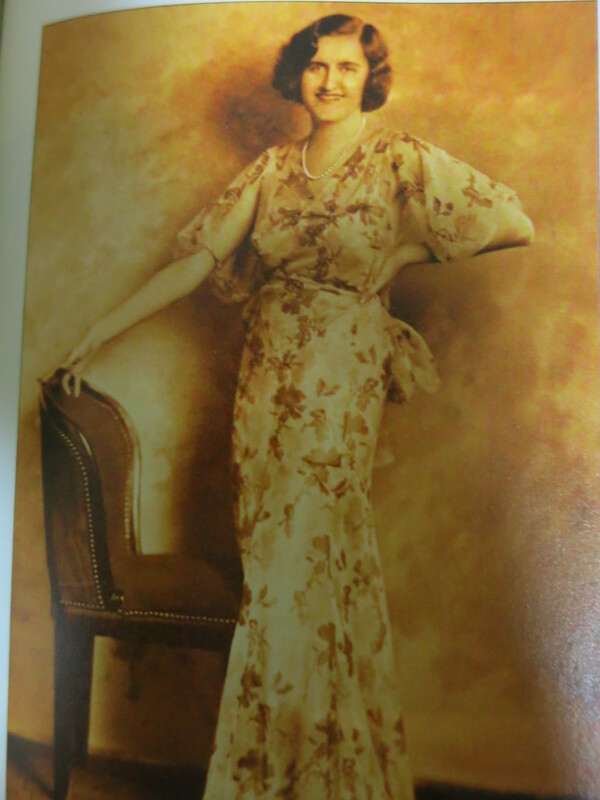 Huguette CLark was a very generous person and over the years she gave away most of the money she inherited, often to people she had never met. She continued to pay a generous pension to her chauffeur’s widow for her lifetime. Was she held prisoner and blackmailed by her doctors in the end? Did her private nurse, Hadassah Peri, take advantage of her? Why was she forced to sell her Stradivarius “La Pucelle,” and what mysteriously happened to a $10 million Degas painting? This story reads like a great mystery that we want to get to the bottom of! An intriguing story that will keep you spellbound!